A few weeks ago, Keith and I attended Penn Brew U at Penn Brewery. A lady I work with had won tickets, but works on Saturdays so she couldn’t go. She offered up the tickets to me and although I had never heard of it before, it sounded pretty neat so Keith and I decided to check it out. I’m not sure how often they have them, their website shows there was another on March 8, we went in February, so maybe they are monthly? Tickets are $40 per person and include some beer, a tour and lunch. It started at 11am, when we got there we were given a t-shirt (woo!) and beer tickets. We found our way to a ballroom upstairs and took a seat. We each got one beer ticket (for a draft beer) and I believe you could also purchase beer. (There was way more drinking going on than 1 beer/person, but since we didn’t buy any, not sure how much it was.) We sat down with our beers and some pretzels/beer cheese (mmm) and listened to a ~30 minute presentation on beer. It was pretty interesting/informative, they talked about the traditional brewing process and then talked about their beers. On each table were 4 bottles of beer which as the guy spoke, he instructed us to open them one-by-one and sample. As luck would have it, we were sitting at a table with only two other people, so we got the equivilent of another beer! Two beers + a few pretzels = by the time we went on our tour, I was almost drunk, haha. After our tour, we went back to the ballroom and watched a cooking (with beer!) demonstration. He made beer cheese, beer brownies and beer battered onion rings. By that time, the second group came back from their tour and we were treated to lunch. (Which included the beer brownies, they were a cakey brownie which I don’t prefer, but I will never turn down a brownie and they were delicious.) The entire time, everyone else was drinking, but Keith and I stuck to our free beers and water. All in all, it was a fun day. Doubly fun since it was free, but if you like beer and like Pittsburgh, it wasn’t a bad way to spend a Saturday! Two Fridays ago, Keith and I headed downtown for dinner at Grit & Grace. A relatively new restaurant, it is a sister restaurant to BRGR and Spoon, (neither of which I have actually been to). I actually hadn’t really looked at the menu, the planning of this one was all Keith. We arrived for our 7:30 reservation and the place was pretty packed. (And pretty loud.) It’s an extremely narrow restaurant but goes back deceivingly far. We were seated at a nice booth and left to puruse the menu. They offer small plates (and some larger plates) and also have American dimsum. If you don’t know what dimsum is, I liked our waiter’s explanation of “an already made appetizer.” Someone walks around, presents several offerings to your table and you choose then and there if you want something. The dim sum plates were $5 and we split the carpacchio. They were all rather small servings, so we didn’t go for anything else and instead focused on the regular menu. Keith and I eat a lot of meat so all our choices were very meat heavy. Sorry vegetarians, this review will mean nothing to you. We started with the braised goat (appams, garlic + ginger smashed potatoes, curry). Appams are the pancake-y sort of thing. It was really good. The goat was very tender and full of flavor, I really liked the lime to brighten it up. This was a pretty large plate. There were 4 of those pancakes and enough meat to fill them all. Next up we had crispy pig face roulade (sunny side up egg, Napa cabbage slaw, chicharrons, egg yolk hot sauce, toasted sourdough, miso apple butter). I was most worried about this one (pig face?! ), but the waiter described the pig face as bacon, but better. Now I don’t like bacon, but I was willing to give it a go. It was so good. My mouth is watering just thinking about it. It was like an open-faced breakfast sandwich. On each table there are also three house made sauces, something soy saucy, something sweet and sour saucy and a hot sauce. I could have eaten the hot sauce on a spoon, but it was so good on this. It was about this point that we decided to skip more dim sum and just get food. We got the short ribs, and at only $1 more than the dim sum, it was probably twice the food. Short ribs, cream cheese biscuits, aged white cheddar cheese, hollandaise. These were good. The cream cheese biscuits were a tad strange, they were very very soft. There were two of them here each with a piece of meat. I love when food is already pre-portioned out to share. And we finished with the brisket. Smoked brisket, kohlrabi kraut, thousand island sabayon, pickled red onions, corned beef tongue, horseradish cream, baguette. This was just my half. I got a little too eager and dug in before snapping a picture. This was also really good. Except…this might be an unpopular opinion but can we stop pickling everything? I can go for some sweet gherkins or a dill pickle here and again, but I don’t want pickled carrots or onions or cabbage or turnips. The top right corner was the plate the sandwich came on and had pickled things on it. There were also some on the sandwich and I could just do without them. Just not into it. Keith and I were pleasantly full by the time we finished. Grit & Grace also has a full bar, but we are not big drinkers and I am cheap when it comes to alcohol. I would have ordered some Arsenal Cider but I’m not paying $10 for a glass when I can get a growler for a bit more. We were discussing the bill before it came. Keith guessed it would be around $100, I thought $60. We were both pleasantly surprised that it was just a bit over $50. Not bad for 5 plates that left us full. (My 2nd biggest pet peeve (after pickled everything) is fancy restaurants that cost $50 a person and leave you hungry. Not an issue here. I’d definitely go back. I actually would like to go back now. Mmm pig face. Sunday afternoons in Pittsburgh come autumn time are dominated by watching and cheering on dem Stillers. This usually equates to a day full of fun, but special circumstances such as bye weeks and truly horrendous seasons call for other enjoyable activities to keep us all entertained. 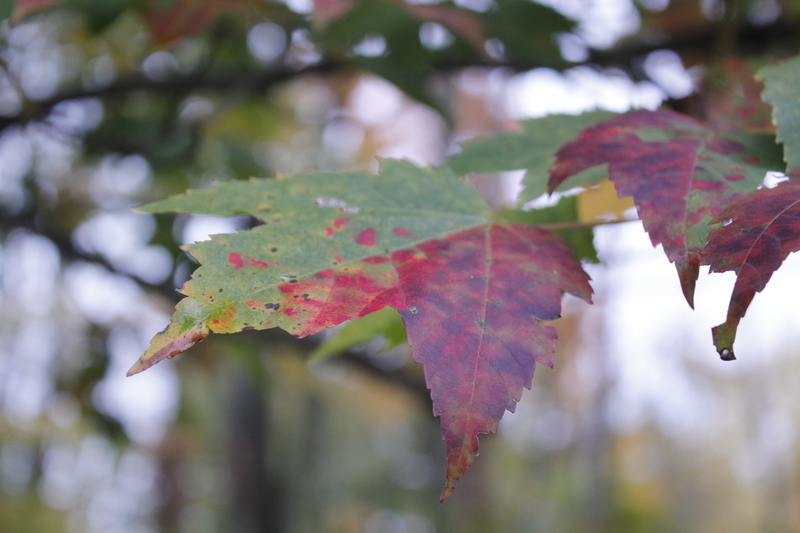 Check out the links below to read what a bunch of Pittsburgh bloggers suggest you do to make your fall Sunday perfect! I had to look at the date on the calendar again to make sure it was actually fall, since it seems like we’re in for a stretch of 80 degree days in Pittsburgh. I will definitely take 80 degrees over that really bad four letter s-word, but it’s not really what I want this time of year. Okay, back to business. My perfect fall Sunday, begins with sleeping in until around 10. (Teenage-up-to-23 year old Katrina would fall over dead at the thought of 10 a.m. being sleeping in.) It’s a gorgeous day, 66 and sunny. I tumble out of bed and head downstairs, my precious Daisy shaped shadow following. I miraculously did the grocery shopping Saturday night when the store was dead so I start opening up cabinets and pull out the crockpot. (Side note: I feel sad that crockpot recipes only really start popping up in fall/winter. Summer is the BEST time to use the crockpot! No sweating over a stove! Or oven! When it’s 12 degress outside, crank up that oven!) Anyways, today I’m going to make one of my favorite crockpot recipes because not only is it delicious, it is dead simple. I put the chicken on the bottom, pour the beans on top, pour the salsa over, dump the cheese, give it a mix and you’re done. 8 hours on low and you have an awesome, EASY meal. You could use regular salsa, you could leave out the chicken, switch up the beans, the possibilities are endless. I usually throw a bag of frozen corn in to give it some crunch and we sometimes eat it over rice. I just made some regular chili last week and added some quinoa, so I might throw some in this next time. Can’t hurt! I also often do 5-6 cans of beans and two jars of salsa. There may be only two of us, but I have a 6qt crockpot and cook for an army. After that 15 minute of “cooking” is done, I curl up on the couch with a book. Since this is my perfect Sunday, I of course do not have any homework that I’m neglecting, so I read for a few hours. One of my favorite parts of fall is the chill in the air (and house) so I likely grab the electric blanket and bask in it’s warmth. Eventually Keith emerges from the basement and we head out to get some lunch. Since dinner is vaguely Mexican, we might head to Italian Oven for a pizza, or K Asian Bistro for some sushi. Since it is such a gorgeous day with nothing on the horizon, I ask Keith to take a drive. Keith grew up in Fox Chapel and when we first started dating, he took me on a drive to show me all of the incredible homes. I love houses; looking at them, imagining who lives inside, imagining how much they cost. We drove past Chip Ganassi’s house and I almost died. My favorite part of that drive though wasn’t the house spying, it was the tree-lined Squaw Run Road. It’s such an idyllic road, it makes you feel like you are in the middle of a massive forest, not just a few minutes from 28. We first drove through in the Spring and while it is lush and gorgeous then, as the trees start to turn it is even more beautiful. If it’s not too late in the afternoon and not too chilly, we might stop at Squaw Run Park and play a game of Scrabble. After I win (hey, my fantasy here..) we pop over across the river and head to Lawrenceville. Our destination? Arsenal Cider House. Now I’m not a big drinker, I dislike most beers, I hate hard liquor, I don’t like most wine, but I loooove cider. And lucky us, having our own Cider House in Pittsburgh! 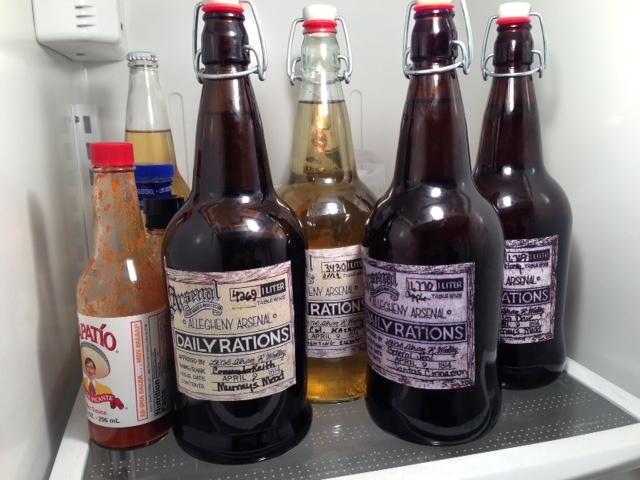 I actually planned ahead and brought our growlers so we get a refill of whatever sounds good (not like any sound bad). My favorite cider of theirs is the Santa Cinnamon which is only available around Christmas and in July, so we miss that one but whatever else we grab is just as tasty. If it’s in, we also grab a growler of mead for Keith. I’m not a huge fan of mead, but it’s definitely interesting! While you can take a seat there and open your growler, we have plans for ours so we hop in the car and head back home. Once home there is lots more lounging around, we might watch a movie or a few shows that we need to catch up on. Before dinner we take Daisy for a walk and hopefully avoid all other dogs, since Daisy is easily terrified. Back home it’s time for some chili! Since the sun sets so early these days, it’s getting dark as we finish up. The temperature is also dropping but this makes the next part of the day perfect. We grab the bottle of cider and head out to our back patio and light the fire pit*. Sipping away, warming our bodies from the inside and outside, I reflect that it was a pretty perfect fall Sunday. If you’re less of a homebody than me, you should check out my fellow bloggers’ perfect fall Sunday. Alex at everybodylovesyou.net coordinated this whole thing, so you should start there! 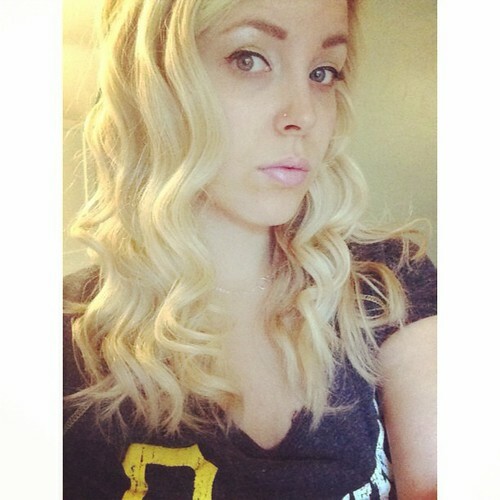 In the sprit of trying new things, today’s post comes from the Erin of Great Scott!, and is part of a special day of shenanigans from other Pittsburgh Bloggers. You can see my post over on Glitzburgh, where I review La Casa Narcisi Winery. Choosing a stationery suite for your wedding can be a perplexing task. What type of paper do you choose? Letterpress or thermography? Separate reception card or no? Don’t feel drowned by the decisions, but do understand the importance of your choices. An invitation sets the tone for your celebration, whether you’re having a fancy cocktail party or a casual farm fete, so make sure your pick is an accurate representation of your celebration. Luckily, here in Pittsburgh there are several local stationers who can help you design a suite and make sure your etiquette is as sound as Emily Post’s. 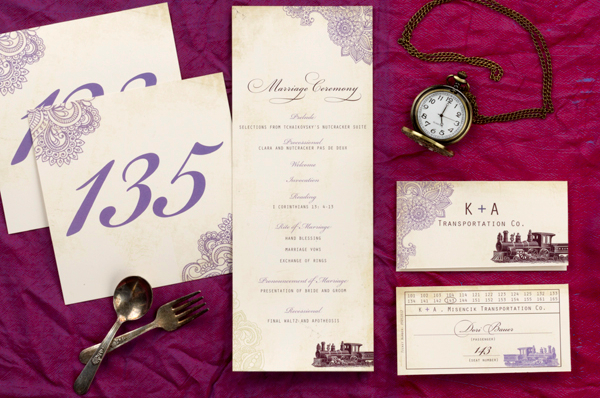 Purple Wagon Designs will create a whimsical, current, or traditional design especially for your nuptials. They also offer calligraphy services. Hello Beautiful features delightful vintage images in perfectly packaged suites. For the bride who wants to hold a fancy, bling-laden affair, Anne Lehman Design will certainly be able to create something with the perfect sense of occasion. 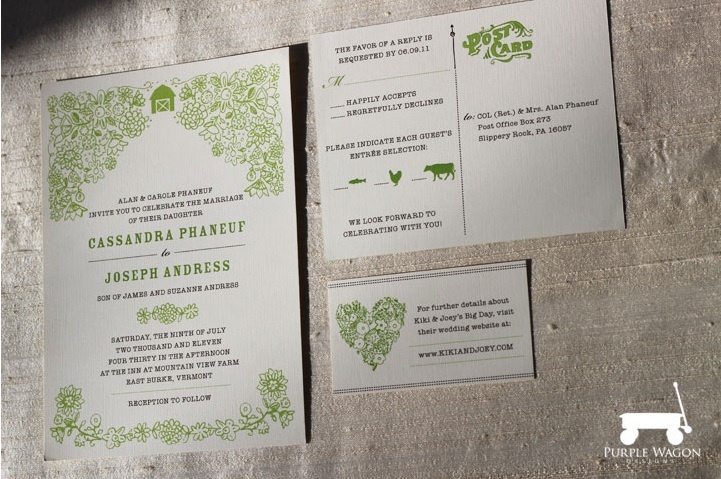 She offers flat printing, letterpress, thermography, and embossing. RSVP Greensburg carries William Arthur, Embossed Graphics, Checkerboard, and other major designers. Scribe Fine Papers is tucked into a small shop off of Walnut Street and carries brands including Rifle Paper Co. and Checkerboard. They also offer calligraphy services. 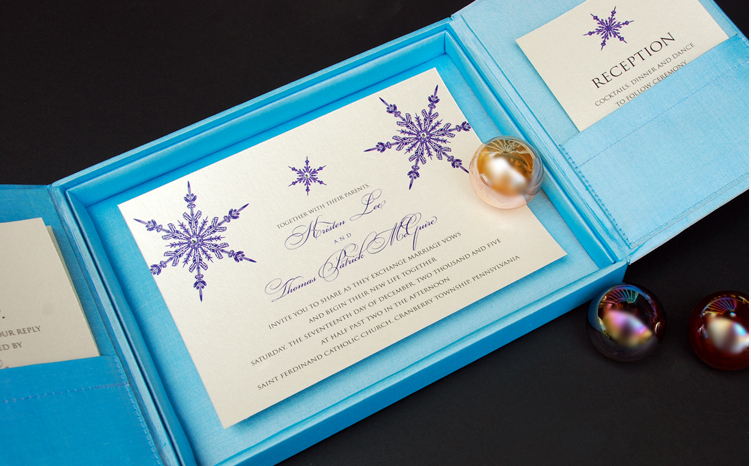 You might also look at online stationery services such as minted.com and weddingpaperdivas.com for flat and letterpress suites. After planning my wedding, I would say to start trying to find a stationer well in advance of the big day. There are so many choices, it will be easy to get overwhelmed and/or reconcile your ideas for the paper with your fellow planners’. Make sure you’ve made your choices in time to get the invites out at least six weeks before your celebration or two months before if you didn’t send save-the-dates. Mostly, enjoy the hunt! Building a relationship with a stationer can be of great benefit during your life. Just think about thank you notes, party invites, and maybe even baby announcements you might need in the future. Thanks, Erin! I could seriously look at wedding stationery all day. (And have.) And am no closer to making any sort of decision. If you click on either the link to Erin’s blog or the link to my post on Glitzburgh, you can hop around and check out other lovely Burgh blogs!